The most significant resource for career development is a person’s network, the people they know and then the people these people know (and on it goes). Forget about online job applications and similar websites as on average 70% of jobs are never advertised in any form of media. Astute employers recruit through their own sources and recommendations because in most cases they get a better quality of candidate and employee. Accessing this 70% of jobs (hidden job market) is via your network and subsequent recommendations. Therefore, building your network is critical to your career development and is a task that cannot be completed overnight. Treat your network as a precious plant, water it, feed it and love it…then watch it grow and flower. All active workforce participants need a good network and your occupation is irrelevant (bricklayer, CEO or whatever). Include everyone you know in your network Start with friends and family, people in your workplace and industry, look outside your sector, include your doctor, dentist or accountant, never ignore people you meet at work events or private gatherings, in fact everyone. Be friendly and show a genuine interest in everyone that you meet When you meet someone smile, show interest in them and listen to their story. Ask them out for a coffee and get to know them...maybe there is something you can do for them. Offer assistance If a person needs assistance, then do it for them as a favour. This will often let them see your capabilities and in doing so learn a lot about you. People will then be happy to return favours and possibly even recommend you to a connection for your next job or promotion. Advise everyone that you know about your career plans If you are currently out of work let everyone in your network know. This does not mean asking for a job, rather spreading the word. If you are currently employed, let people know about your ambitions and where you want your career to be in 5 to 10 years’ time. Be careful not to bore people with your needs and weave these facts into various conversations over time. Be active on social media Social networking is where we are today. Like it or loath it you ignore it at your own peril (it can be a career killer if you refuse to embrace it). 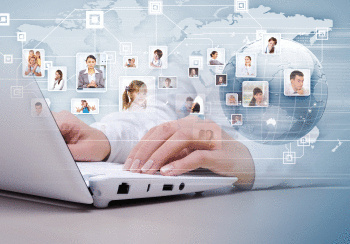 Many people find jobs on Facebook and Twitter through friends that they have made online. Use social media to interact with people in your sector, follow and engage online with industry leaders (movers and shakers). Add value and don’t simply talk about yourself. Manage your LinkedIn profile LinkedIn is the key career management social media platform. It is now more important than your resume or any other career resource...everything revolves around LinkedIn. LinkedIn is a good place to find job advertisements and to make professional connections. Hiring managers and recruiters are constantly looking at profiles to identify suitable talent and to approach them directly about opportunities. Join LinkedIn groups, contribute articles and engage in conversations on topics of interest (all of these actions enhance your public profile). Do volunteer work An often neglected activity is volunteering to help others in need. Not only do you provide an excellent community service, but you also meet people, other volunteers and professional support personnel. Add these people to your network as they have seen you in a semi-professional capacity and understood the value that you can bring to an organisation. They can also become excellent referees for you at a later date. Maintain contact Being continually active within your network is fundamental to developing relationships and your professional image in the broader community. Contact is important when you are in work, as well as when you are sourcing new opportunities. Best of all if you nurture and grow your network properly, then you will probably never have to apply for another job.